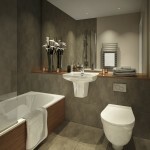 A high quality development comprising excellent living accommodation with stylish modern fittings. 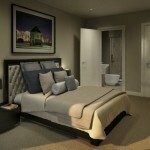 The development is centrally located on the dockside close to the University of East London and Galleons Reach DLR. It is also within easy access of many of East London’s highly regarded locations to include Canary Wharf, Victoria Park, Brick Lane, Shoreditch, Spitalfields, and the City. The Royal Docks area will benefit from the introduction of Crossrail, which is likely to add 20% to property values in the vicinity. 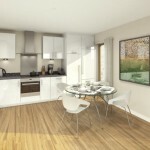 The development provides easy access to The City, the West End, Canary Wharf, 02 Arena, Stratford International and London City Airport. ‘Royal Dockside’ is located in the “Special Enterprise Zone” which was introduced by the UK Government in July 2011. 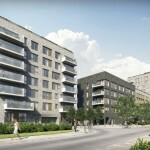 The Royal Docks Enterprise Zone has been invigorated by the announcement of the 50 acre Silvertown Quays plan, which will be developed by the Chelsfield Group. The plan is a £1.2 billion area transformation which will create some 9,500 jobs and bring an estimated £3 billion worth of economic benefits to London. 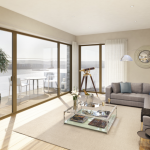 ABP London has signed an agreement with the Mayor of London to transform the Royal Albert Dock. This £1 billion investment will create London’s next financial district, to be known as ‘Asian Business Port’. The infrastructure of this dynamic district is further supported by the £14.8 billion construction of Crossrail, with a key interchange at Custom House 8 minutes on the DLR from Royal Dockside. Above: GBP interest rate is at all time low now. 3 month GBP Libor is currently at 0.5%. Is Bank of England going to raise interest rate anytime soon? Above: (Feb 12, 2014) Bank of England sought to assure homebuyers that UK interest rates won’t rise any time soon because the economic recovery is still fragile. This is good news for property owners. Above: UK government announced that they will introduce capital gain tax for foreigners from year 2015 onwards. Currently the local investors pay capital gain tax of 28% but foreign investors pay none. We believe the issue is one of tax inequality rather than a one of property cooling off measures. Above: The ‘Help to Buy’ scheme is aimed at helping first time buyers and homemovers with a deposit as small as 5 per cent to buy a new build property in England. The Government will provide borrowers with a loan for 20% of the property, meaning only a 75% mortgage is required from a lender. This scheme is available in England now until March 31, 2016. Help to Buy scheme (potentially pushing up property prices in the UK) and capital gain tax on foreigners were announced around the same time. This supports our beliefs that the introduction of capital gain tax on foreigners is purely a political move rather than a property cooling off measure.